The past weekend, the last weekend of June 2016, was both an epic as well as a confusing beer weekend. Limiting myself to just two of the beery things that went on in Europe those three days, the contrast couldn’t have been bigger. We saw Beer Passion executed in Antwerp and Amsterdam – and it could have been the moon and Pluto, hadn’t you known better. 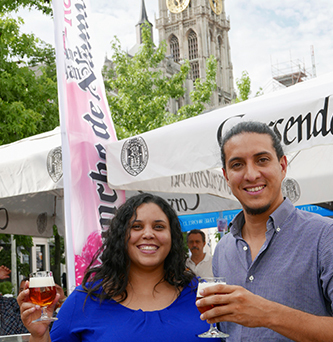 Antwerp was the home of the 17th Beer Passion weekend, where the scenic Groenplaats gets a make-over into a beer festival. Some twenty tents, food- and beer trucks had taken up the square and close to thirty breweries showcased some two hundred beers, eighteen (18!) of them making some sort of debut. Just being in the heartland of phenomenal beer makes me feel great, and the fact you’re surrounded by dozens of classic brews makes your heart beat a little faster – or at least, that’s what you’d expect. Thing is, my heart did not change pace at all – and if it did, it went slower. When I had made my first round to check out all the stands, and had seen the familiar breweries with their famous beers, I just couldn’t feel but massive deja vu. Sure, it was cool to taste Test Brew #3 by De Koninck – Pierre’s Bock, a fortified version of De Koninck – and I felt special being able to sample Corsendonk Dubbel-Dark – a porter-like beer, had it not been for the 8+% ABV – but it all was so much more of the same… And when I looked around me, must have been nine ‘o clock Friday night, I couldn’t but remark to my Irish friend Paul Walsh how amazed I was to see the Beer Passion square not even half full. As a matter of fact, the terraces lining the Groenplaats were literally overflowing with people – and then it struck us that these bars offered roughly the same as the event did, if not even a larger variety, and with a better view. 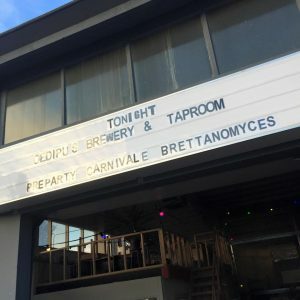 Meanwhile in Amsterdam, inspired by a joint brainwave Elaine Olsthoorn of In de Wildeman and Jan Lemmens of De Bierkoning had some years ago, the fifth edition of Carnivale Brettanomyces had kicked off. 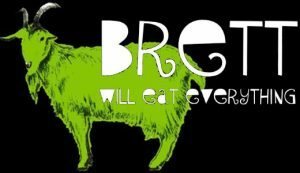 Four days of beer dinners, lectures, master classes, tastings, ‘meet&greet the brewers’ and general debauchery dedicated to Brettanomyces and all other fermenting wild animals saw these events in a multitude of locations. It drew attendees and brewers from all over Europe and even some Americans to gather, enjoy, talk and learn about wild yeasts and what they produce. As far as I know it was the single-largest festival in the world ever, dedicated to Brett & friends. 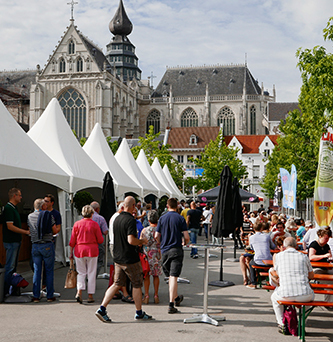 Now I spent most of the weekend in Antwerp, but I doubt if more than twenty Belgian visitors attended this world-class event that was literally packed with novelties – yet has its origin in Belgian beer tradition. I still admire Belgian beers and Belgium ranks number one among its peers in the Classic Four beer cultures for diversity, quality, atmosphere – as it once did for innovation. 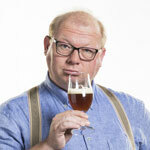 But handful exceptions aside, Belgian brewing has come to a stand-still somewhere in the nineties of the last century. And as long as its brewers keep patting each other on the back and enjoy looking back, taking yesterday’s success for tomorrows, unable to admit that others brew exceptional beers too, they may face ending up in obscurity. Please let someone prevent Belgian Beer Passion turning into The Passion of Belgian Beer.